Visit us at MODEX 2018 in Atlanta! Visit Quarion Technology at MODEX 2018 in Atlanta! Visit us at Booth C2135! MODEX is a unique building material trade fair that offers attendees the opportunity to make new contacts, finalize deals face-to-face, discover cutting-edge equipment and technologies, educate yourself on the latest trends, and keep ahead of the competition. At MODEX 2018 in Atlanta, over 800 exhibitors from industry, commerce, and government will display their supply chain solutions on the 250,000 square foot show floor. MODEX 2018 will be held April 9-12, 2018 in the Georgia World Congress Center in Atlanta, GA.
Visit us at Booth C2135! 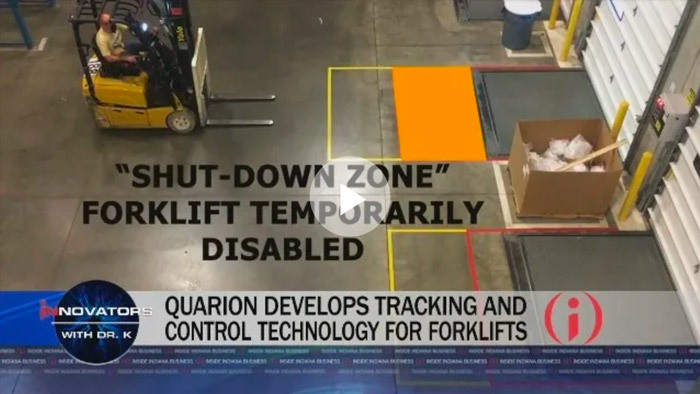 We’d love to talk to you about how our location and tracking products ensure your warehouse workers safety and prevent forklift accidents. https://quariontechnology.com/wp-content/uploads/2018/03/modex-2018.jpg 350 850 theVR https://quariontechnology.com/wp-content/uploads/2018/03/quarion_logo-450.png theVR2018-03-21 14:34:252018-03-25 14:49:07Visit us at MODEX 2018 in Atlanta!